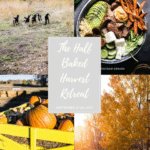 Bonfire Brownies from The Half Baked Harvest Cookbook + Sneak Peak Video! Bonfire Brownies from The Half Baked Harvest Cookbook + Sneak Peak! Hey, hi!! Today is such a fun day here at Half Baked Harvest!! Not only am I sharing one of my favorite summer recipes from my yet to be released cookbook, but I am also sharing an exclusive sneak peek as well! Ahhh! First things first. The cookbook’s release is literally just months away, I’m talking only TWO months until the book’s publication. That’s all of July, all of August, and then just twelve days in September! If you had some trouble with the math (that would be me), that works out to September 12th! Just three days before my birthday. <–kind of fun, right?! I know so many of you are excited for the cookbook’s release, so today I thought it would be fun if I teased you all with a little summertime sneak peek of what’s inside my new cookbook. Plus, I want to tell you all about how you can access a few of the summer recipes from the book early. Like TODAY (if you’re super curious skip down to the last paragraph for all the info!)!! With the 4th of July on Tuesday, I thought these Bonfire Brownies from the book would be the perfect recipe to share. Not only are they sinfully delicious, but they absolutely scream summer! These brownies have been declared the best brownies ever by every member of the Gerard family…plus all “adopted” family members. They are just that good. Think of your favorite s’more: the marshmallow…all warm and toasty, sandwiched between two sheets of graham crackers, and multiple squares of melting Hershey’s milk chocolate. Now add fudge brownies and salted pretzels. Oh, yes, I went there, and you are going to love it! Here’s how these brownies break down layer by layer: graham cracker, fudge brownie studded with salty pretzels, choco­late squares, and toasted marshmallow. 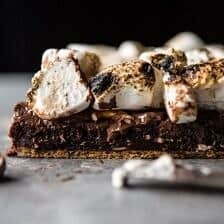 <–aka the bonfire brownie. Trust me, if you make these brownies this week you will, no doubt, gain celebrity status. But, if you pull them out of the oven only to realize that sharing is just not an option, trust me I get that. No shame. OKok, and now the super exiting part! As I mentioned the book does not come out until September 12th, BUT I have so many fun summer recipes in the book that I’m just dying to share with you all. Sooooo, here’s how you can access those recipes early and get a sneak peek of the cookbook! 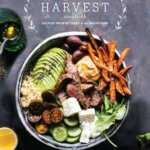 All you need to do is head over to Amazon and pre-order the cookbook. If you preorder the book now, you’ll be given access to FIVE summer recipes from the book, all in the form of a pretty little PDF that you can download immediately after pre-ordering. Yes, yes, yes – five brand new recipes from the cookbook, today. I know, I know, so exciting! <– I seriously am so excited. I hope you LOVE the recipes! So not only can you have these brownies for your summer fun, but you can also have five of my favorite summer recipes…which may or may not include a pasta and an ice cream. Wink, wink. So did I sell you yet?!?! Hmmmm…….. I think it was the brownies! Don’t forget to head on over and pre-order now. Then simply fill out this quick form to have my 5 favorite summer recipes right now!! <–do it. Then be sure to make these brownies. Happy Sunday! These brownies are stuffed full of flavor! 1. Preheat the oven to 350ºF. Line a 9-inch square baking dish with parchment paper or aluminum foil, letting some hang over the edges of the pan. 2. Arrange the graham crackers in a single layer on the bottom of the prepared baking dish, being sure the entire bottom is covered—you may need to break some to fit. 3. 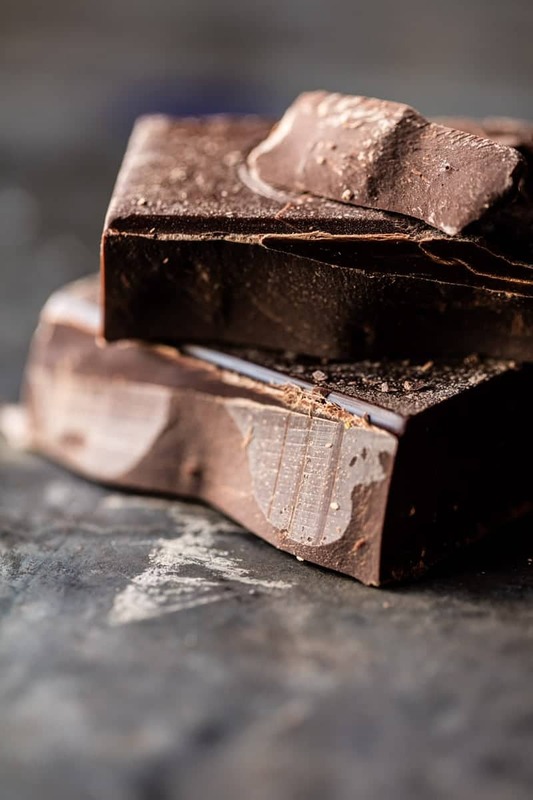 Put the butter and milk chocolate in a medium microwave-safe bowl. Microwave in 30-second intervals, stirring in between, until melted and smooth. Add the sugar and whisk until completely combined. Add the vanilla, coffee, Kahlúa (if using), and eggs and whisk until smooth. Stir in the cocoa powder, flour, and salt until smooth and just combined. Try not to overmix the batter; it will be thick. Fold in the almonds. Pour the batter over the graham crackers in the baking dish. Gently press the pretzels on top. 4. Bake for 25 to 30 minutes, until the brownies are set on top. Remove from the oven and immediately add the chocolate bar pieces to the top of the brownies—the chocolate will melt over the brownies. Add the marshmallows evenly over the chocolate and then return the brownies to the oven. After 5 minutes, turn on the broiler. Wearing oven mitts, position a rack in the top third of the oven. Broil the brownies for 15 to 30 seconds, or until the tops of the marshmallow are just golden—watch closely, as they burn fast. Remove from the oven and let the brownies cool in the pan for about 30 minutes. 5. Lift the brownie block out of the pan using the overhanging parchment paper. Cut into squares. Awh thank you! Too excited for it! So happy you like the brownies! Happy Sunday Tieghan to you, too. Thank you for sharing another one from your collection. My girls´ namedays are coming up this summer so Iwill surprise them with these brownies. They love most of the ingredients. I will definetely order your book but I have question whether I can pre-order and use your kind offer of having five of your recipes right away while using UK Amazon. Thank you and wishing you a great 4th July celebration. Oh my god, just looking at the photos made my mouth water. And I am sooo excited for September 12th, I am really looking forward to cooking and baking all of the new recipes. Hope September comes quickly. Ah thank you so much!! Hope you love the book! Couldn’t be more excited! Yummmm! That is all haha!! Why do you do this to me!?! Im going to have to make these now haha! Counting down the days until your book is out! (: Hope you love it and the book!! Thank you! 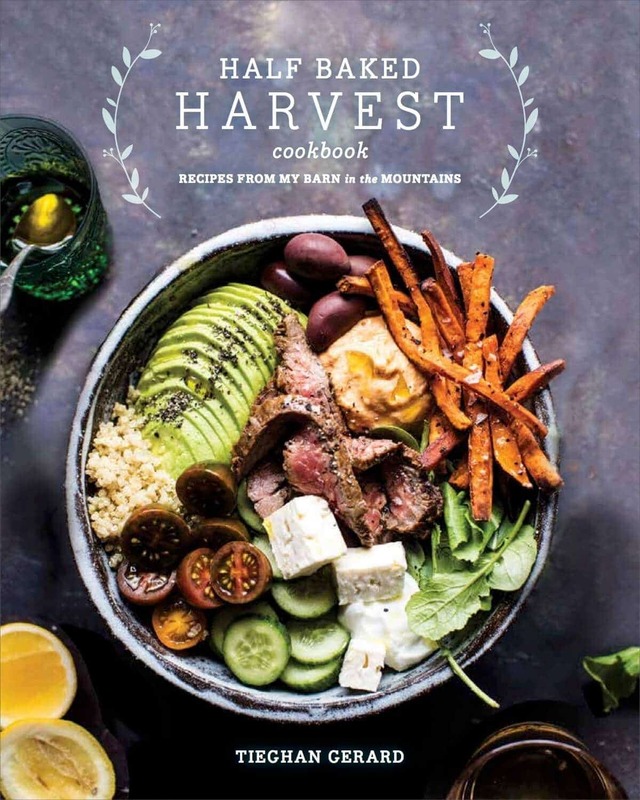 So excited for your cookbook to come out – and it’s just a few days before my birthday, too! 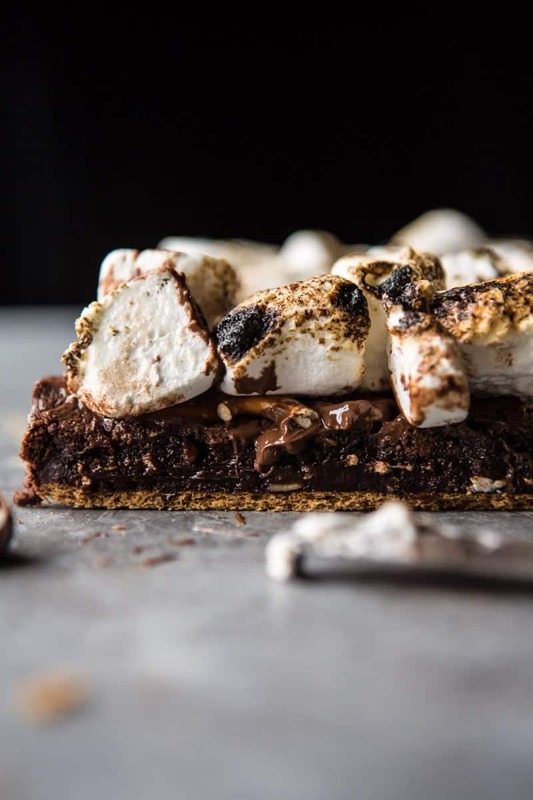 In the meantime, totally making these s’mores brownies – they look incredible! OOoo!! Birthday preset..!? Hope you love the s’mores thanks Rebecca! These look amazing! I want to eat these right this very minute! Oh, wow, wow, wow! I can’t believe that your book is coming out so soon! It still feels a long way off though too! I’ve been counting down the days to September ever since you announced the book! If this recipe is any indication, this book is going to be beyond amazing! P. S. Have fun in Mexico! Way to excited to hear what you think of the book! Thank you! So excited to give a peak of it!! I preordered on amazon the moment you announced. Hurry up and release!!!! Looking amazing. Awh wow thanks so much! I can’t wait!! Hope you love it Thomas! These look so incredibly decadent Tieghan! 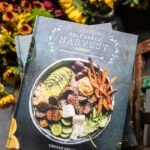 Counting the days, just like you, for the cookbook release! Happy 4th! Ah so so exciting! Happy 4th eve! Made these tonight- so yummy! Unfortunately I was out of pretzels, so I had to skip them (because when you see photos that mouthwatering, you don’t want to wait until the next grocery store trip! ), but I’ll make sure I have some on hand the next time I make these brownies, because that salty/crunchy factor is totally worth it. I’m definitely adding it to my list of recipes! Thanks for a great recipe, with amazing photos. Thank you so much for the gorgeous sneak peach! Those recipes are defiantly going down this week. Could September 12th get here faster👍🏻 So excited!!! Haha right?! I am SO excited for you guys to see my book!! I hope you love this recipe. Thanks Ursula! Holy crap, I want to face plant into those brownies!!! Your photography inspires me to improve mine every single day! I adore your work!!! Haha love this comment! So happy you’re loving these brownies and even more that you adore my work.. that is so sweet! Thank you Christina! Tieghan, please publicize if you will be doing any events this summer in Summit County…I am in Breck all summer and would love to come if you do!! I will definitely let you all know! Thanks Linda! 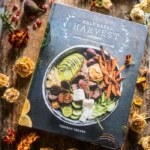 I pre-ordered the cookbook in April because everything you do here is amazing! You are so talented. Awh this is so awesome! Can’t wait for you guys to see the cookbook! I am so excited for you to see it!! Thank you Laura! Congratulations, Thiegan! Your website brings so much joy to so many and what a thrill for you to have your first book published. I preordered your book through Ibooks, can I get the recipies as well? This was Amazing! , made for our movie night dessert, movie was scooby doo camp scare & this dessert was a huge hit with the kids. A great take on a monster s’more!!! Love all your creative twists on your reicpes. Wow, that sounds like an amazing night Karen! Thanks so much! Help! For a brit, what’s is broiling in the oven?? It’s the highest temp! Let me know if you have questions. Can these be made a day or night ahead of time and if so how should they be stored? These look so amazing I’m thinking about making them for our schools bake sale. I just have a question about cutting them. Since the bottom is graham crackers I’m wondering if they cut nice and straight without cracking? I can’t wait! !